This year treat yourself to something extra special for New Year's Eve and hop on-board the MV London Belle for a unique experience. Start the night at Festival Pier, where you will board the boat and accept a complimentary glass of Champagne. Enjoy a delicious array of food from the buffet and get ready for the celebrations to begin! Put the dancing shoes on and head to the deck where you can party along to the live DJ. Let the countdown begin. Enjoy a breath-taking view of Big Ben as the clock strikes 12 and welcome in the New Year with some fireworks on the large terrace bar. If you want to party a bit more then head over to Piccadilly Institute Night Club for an after party, all included in your ticket price! Sorry - this product is currently sold out. Tickets also include free entry into Piccadilly Institute Night club after your Cruise! Proof of Age: This is an over 21 event. ID will be required at time of boarding. Please note that boat departure will be prompt. The boat cannot wait for latecomers. 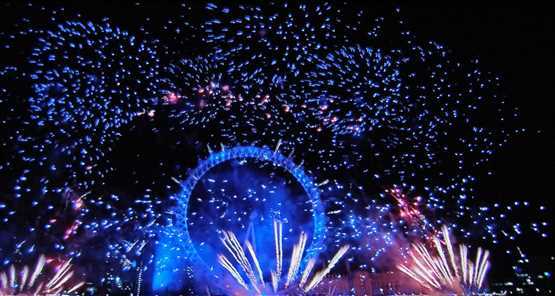 Firework display to confirmed by the Mayor of London. Whilst every endeavour to achieve a view of the fireworks will be made the positioning of the boat is entirely at the Captains discretion based on tides, river conditions or any other circumstances relating to the evening or advice received from the authorities.